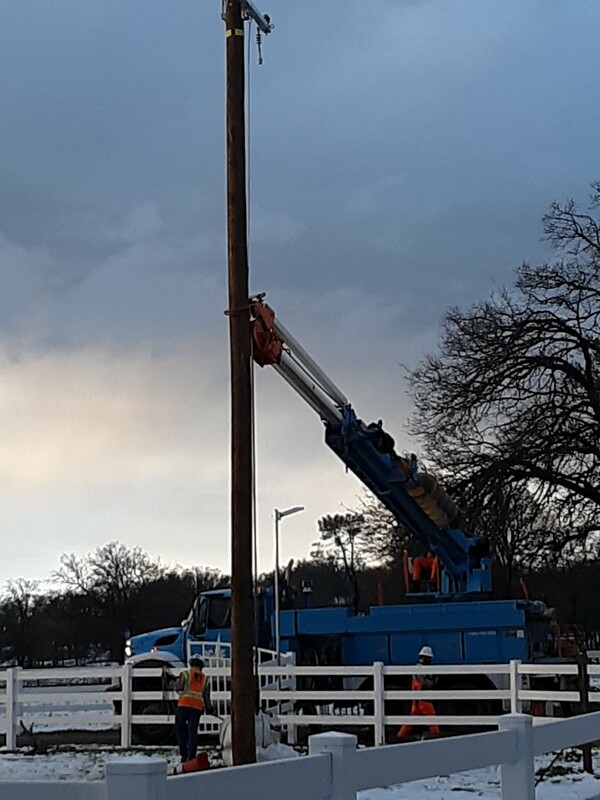 Pacific Gas and Electric Company continues restoring power to thousands of customers each day in the North Valley and has brought in additional workers and mutual aid crews from Oregon to help local crews restore power more quickly. More than 250 PG&E workers and partner utility workers are in the North Valley, where heavy, low-elevation snow and heavy rains on Wednesday fell trees and damaged power lines and poles. The extensive damage to PG&E equipment, coupled with blocked roads and snowy terrain, impacted 60,000 PG&E customers at its peak on early Wednesday morning. 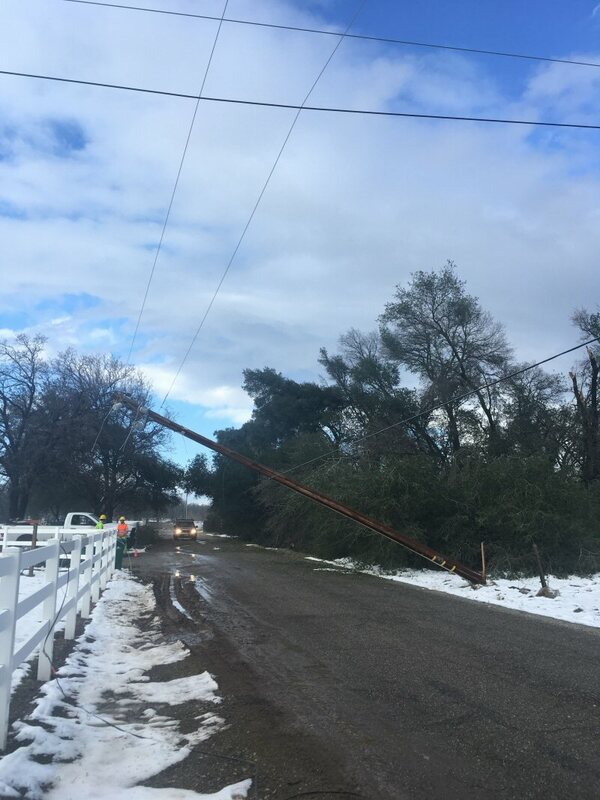 As of 4 p.m. Friday, about 22,000 customer remain without power, most of them – or about 19,000 – are in Shasta County, which was hit especially hard by severe weather. Nearly 3,000 are without power in Tehama County communities of Cottonwood, Lyonsville, Mineral, Mill Creek and Manton. PG&E has established a small base camp at the Shasta County Fairgrounds in Anderson to stage materials and support crews. Even if customers don’t see crews in their neighborhood, crews are often working on another part of the system that needs repairs before their power can be restored. Power lines don’t always follow roads and often span fields, forests and rough terrain where access can be difficult in wet conditions. PG&E knows extended electric outages pose significant challenges for our customers and apologizes for the inconvenience. Power outages can sometimes affect gas appliances as they require power to operate. PG&E understands reliable information about restoration timing is necessary to help customers make plans. Customers may call 800-743-5002 for outage information or visit www.pge.com and click on the outage tab for information. If no outage restoration time is listed for your outage, PG&E encourages customers to have a plan for possibly being without power for up to a few days. The proposed Hat Creek Bioenergy facility signed a 20 year Power Purchase Agreement (PPA) with Pacific Gas and Electric Company (PG&E). The facility proposes to use biomass from local forest health projects to create electricity (ca. 3 megawatts) using new technology. The facility is a partnership between local Hat Creek Construction, and West Biofuels, located in Woodland CA. Unlike solar power, utilization of biomass requires regular handling of material, which translates to more jobs and better socioeconomics. Utilization of biomass also helps improve forest management and air quality as the material is not burned in open piles, and thinning of dense forest structure reduces risk of higher intensity wildfires. The project is in part funded through grants received by the Fall River Resource Conservation District through a Wood Innovations Grant (U.S. Forest Service) and Electric Program Investment Charge (EPIC) from the California Energy Commission (CEC). On June 28, the Burney Water District approved a contract with Top Hat Energy, Inc. for the installation of a solar system at the Raymond H. Berry Pool to generate electricity. The Board also authorized BWD District Manager Willie Rodriguez to accept a 50,000 grant from the McConnell Foundation to help pay for the project. Board President Fred Ryness, and Board Members Jim Hamlin and Britta Rogers were present at the meeting and voted unanimously to approve both agenda items. The system will be installed by the pool where the horseshoe pits presently are. To install the system will cost $87,450. The grant from McConnell Foundation will cover $50,000. The remaining $37,450 will be paid from reserve funds. Reserve funds will be paid back as savings accrue. The annual PG&E bill for pool operation, including both gas and electric, is currently about $10,000. Most of that cost is for electricity to run the pool pumps. To insure that the water is clean and safe, the pumps at the pool run 24 hours a day 7 days a week from pool opening in May until closing ins September. Electricity generated by the solar panels is returned to the grid and will be credited to BWD’s account. It is expected that the electricity generated will offset most of the electric cost resulting in thousands of dollars of savings per year. Thus, funds from the reserve should be reimbursed within four years. The McConnell grant came with several conditions. One of the conditions is that the savings provide benefit to the community. One of the benefits is that the pool will be able to maintain and increase activities without increasing rates. Labor costs are expected to rise in 2020 when the minimum wage is raised to $15 per hour. Increased labor costs could result in cutting hours of employees or limiting hours of operation of the pool. Savings on electricity will help to offset these rising labor expenses. Pool manager Stephanie McQuade said that she hopes that rather than decreasing activities, the pool will now be able to add new programs. The grant also stipulated that the project include some volunteerism. Before installation can occur, the horseshoe pits need to be removed and several trees need to be cleared. Several people have expressed interest in the pits. McQuade is looking for a tree faller who will volunteer services to take down the trees. In addition, she is planning to have volunteers split, chop, and sell the wood as a fundraiser for the Swim Club. Now, that the contract is approved, installation of the grid will begin as soon as the area is cleared. 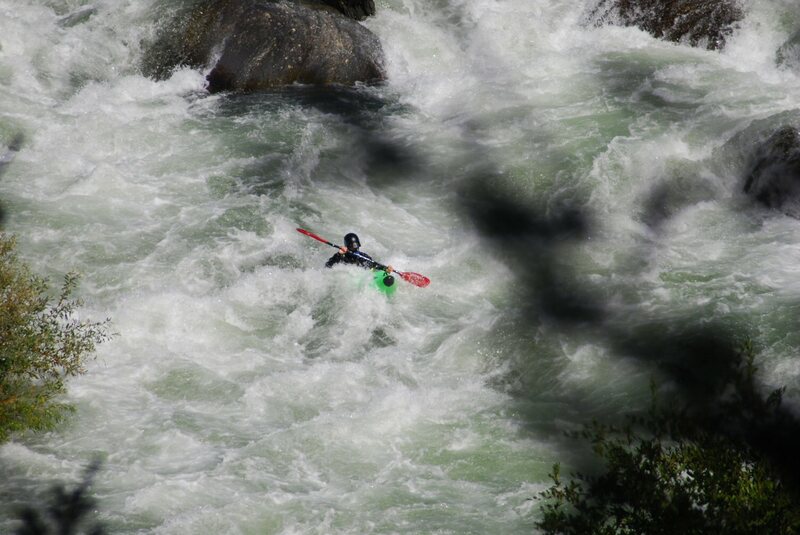 Top Hat Energy will be responsible for obtaining permits, installation, and providing interface with the PG&E grid. Rodriguez said the new system could be operational as soon as August this summer. The life of the panels are 20 to 25 years and will be under warranty. Cameras will be installed to deter vandalism to the solar panels.